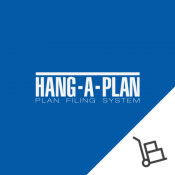 Most brands like Planmate, Planhorse, Hang-a-Plan and Draftex will offer an additional discount of up to 25% if you purchase a 'bundle' or 'package' which is a combination of a Plan Trolley and Plan Clamps. The most common bundle is an A0 or A1 sized plan trolley with either 10 or 20 plan clamps. Please check the matrix of each brand and use the product comparison option, available in this section of our shopping portal to compare the best possible option for your business. If you're not sure you can call us for additional information. 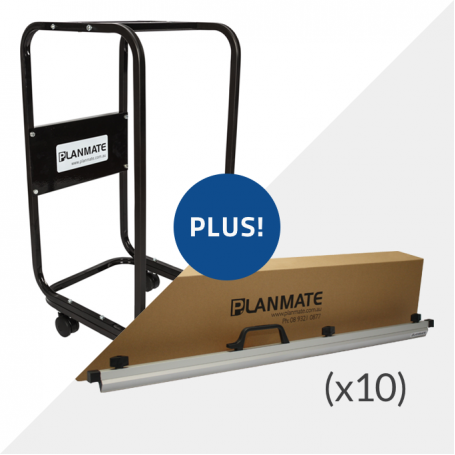 Buy 10x Planmate A0 Plan Clamps and a Planmate MINI A0 Plan Trolley and SAVE. The Planmate A0 Pla..
Buy 10x Planmate A0 Plan Clamps and a Planmate MAXI A0 Plan Trolley and SAVE. The Planmate A0 Pla..
Buy 10x Planmate A1 Plan Clamps and a Planmate MINI A1 Plan Trolley and SAVE. The Planmate A1 Pla..
Buy 10x Planmate A1 Plan Clamps and a Planmate MAXI A1 Plan Trolley and SAVE. 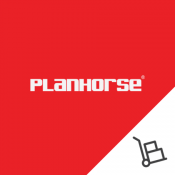 The Planmate A1 Pla..
Buy a Genuine Planhorse A1-1000 Mobile Plan Trolley and 5x A1 Planhorse Plan Clamps in this bundle a..
Buy a Genuine Planhorse A1-2000 Mobile Plan Trolley and 20 x A1 Planhorse Plan Clamps in this bundle.. Bundle a Hang-A-Plan Trolley and 10 binders and SAVE! Versatile General Trolleys can store up to .. Bundle a Hang-A-Plan Trolley and 10 Quickfile binders and SAVE! Versatile General Trolleys can st.. Bundle a Hang-A-Plan Trolley and 10 Quickfile binders and SAVE! QUICKFILE binders save valuable t.. Bundle a Hang-A-Plan Trolley and 10 binders and SAVE! Versatile Plan Trolleys can store up to 300..